Ensuring that your manufacturer’s cable assembly meets your product’s specific design requirements. Determining the various differences and use cases for single strand and Multi-Stranded Wiring and conductors can be difficult. The difference isn’t a visible one, and with all of the variables in designing custom wiring, it’s not likely to be one that you and your team think of. However, this difference can dictate whether your product succeeds or fails – if a wire in your product cannot withstand movement and cracks as a result, it’s not likely to be well received by customers. 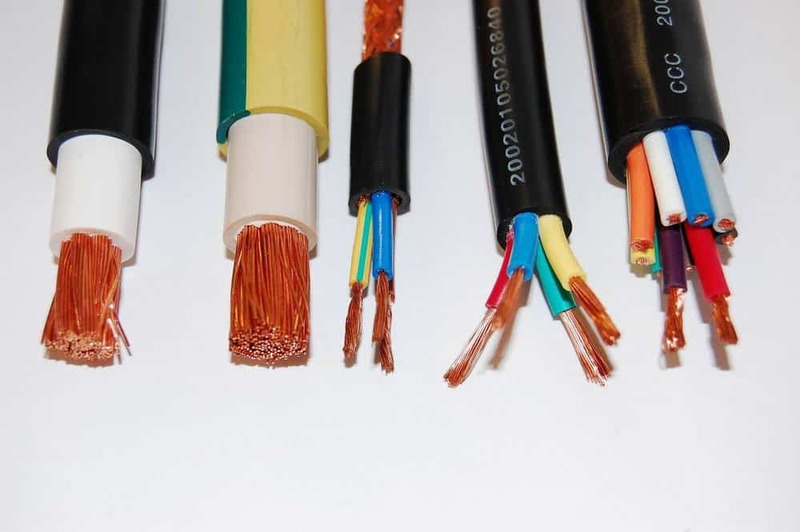 To ensure that your product uses a conductor material that is suited for your industry and the type of custom cable that you will be utilizing, work with your manufacturer’s engineers and designers to ensure that the best choices are being made for your custom cable. This type of wiring is typically less expensive to manufacture than a multi-stranded wire as it does not require as much processing. Single stranded wire is not as flexible as the alternative. This lack of flexibility can increase the likelihood of metal fatigue and the wire snapping as a result. Because of this, single stranded wires are best suited for products that won’t encounter much movement. This type of wiring is often only used in smaller gauge wiring applications as it can be difficult to maneuver and utilize a heavy gauge, single conductor wire. This type of wiring has a higher cost due to the need for more rounds of extrusion and stranding. Multi-strand wiring is more flexible and less susceptible to cracking and metal fatigue than single stranded conductors. This makes it the preferable solution for wiring that will need to maneuver and bend without experiencing metal fatigue. The increased surface area of multi-stranded conductors decreases the amount of resistance that currents or signal passing through the wire will encounter. 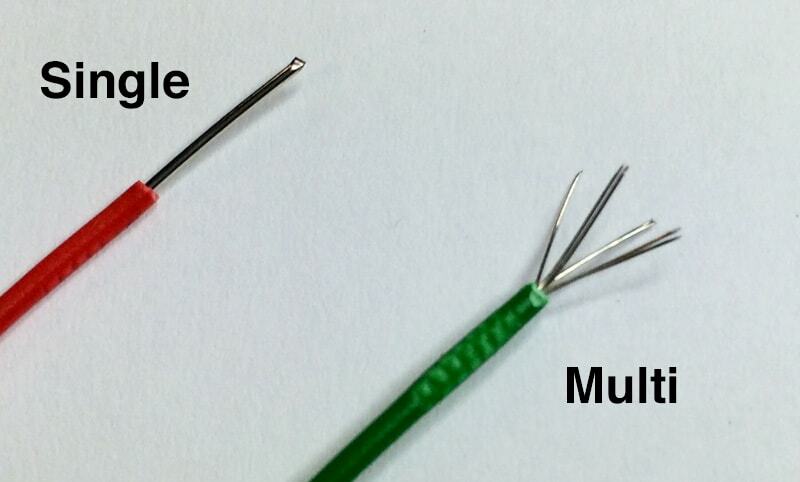 Multi-stranded wiring can create challenges when soldering connectors or terminals as it can be difficult to ensure that all of the small strands have been soldered properly. If this type of wire is soldered, it is good practice to tin the wire first. This type of wiring is better suited for use with an application that requires a crimp connector. The small, flexible strands of wire typically crimp easily and mold to the crimp connector very well. Concentric Arrangements – This is a common wire arrangement in which the conductors are arranged in concentric circles. The benefit of this arrangement is that the wires can be bunched tightly together to maintain the wire’s shape, reducing the need for additional filler material in many instances. Bunch Arrangements – Unlike concentric stranding, the wires are not arranged in a specific geometry, but are simply grouped together and then twisted to ensure that they remain tightly packed. Rope Arrangements – This arrangement groups strands of conductors together in several small bundles. These bundles are then arranged in concentric circles. This increases the flexibility of the final wire, making it ideal for applications that require a great deal of movement or will be housed in a product that moves frequently or in multiple directions. This arrangement is more popular in applications with a larger wire gauge size, adding to the product’s overall durability and functionality. Annular Arrangements – In this arrangement, conductors are centered around a circular core that is not typically conductive. This helps the conductor material to retain its shape. This arrangement can be helpful for reducing the wire’s resistance. These are just a few of the various geometric shapes that can be used in the wire and cable manufacturing process. Choosing the most effective type of conductor for your wiring project is key to its efficiency and reducing the odds that your product will need service down the line.